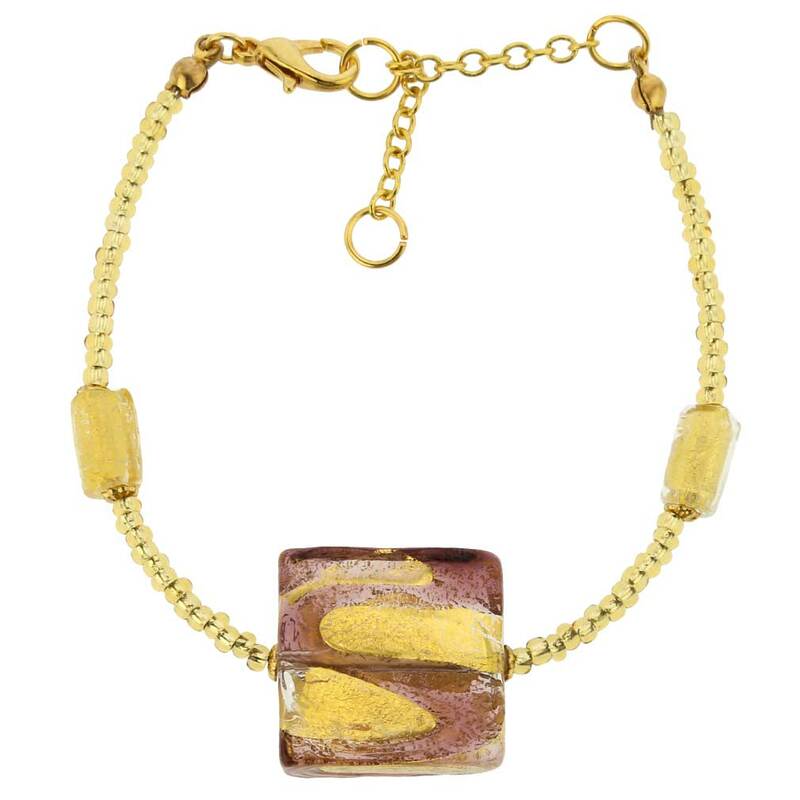 This stunning Murano bracelet in tender amethyst and gold color palette features a unique 24K gold inlaid square bead connected by a strand of 24K gold leaf seed beads and flanked by a pair of gold-foiled cylinders. 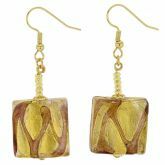 The richness of color and magic of real gold infused into the glass combine with exquisite design to impress even the most discerning fashionista. 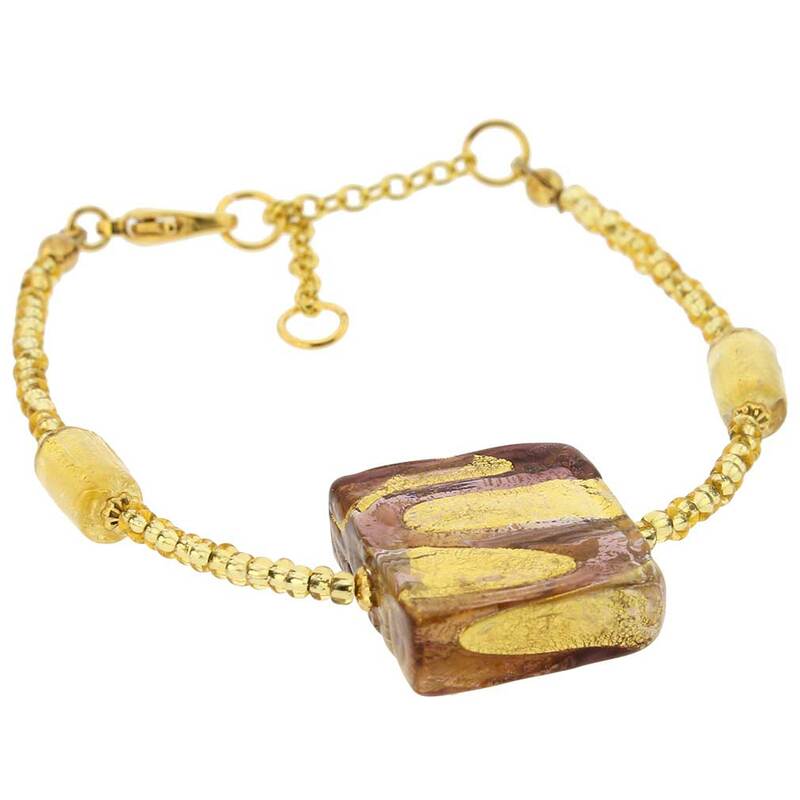 The timeless beauty of this Venetian bracelet is a testament to the unparalleled skill of Murano glass masters which they have been passing through generations. 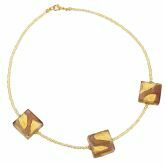 This versatile piece of jewelry can be worn with your favorite casual or evening outfit and is guaranteed to bring you many compliments. 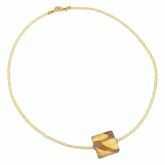 The bracelet can be adjusted from 6.5 to 8 inches in legth to fit a variety of wrist sizes. The gold-plated lobster clasp closure ensures a secure fit. Each accessory comes with an attractive velvet pouch and a certificate of authenticity.